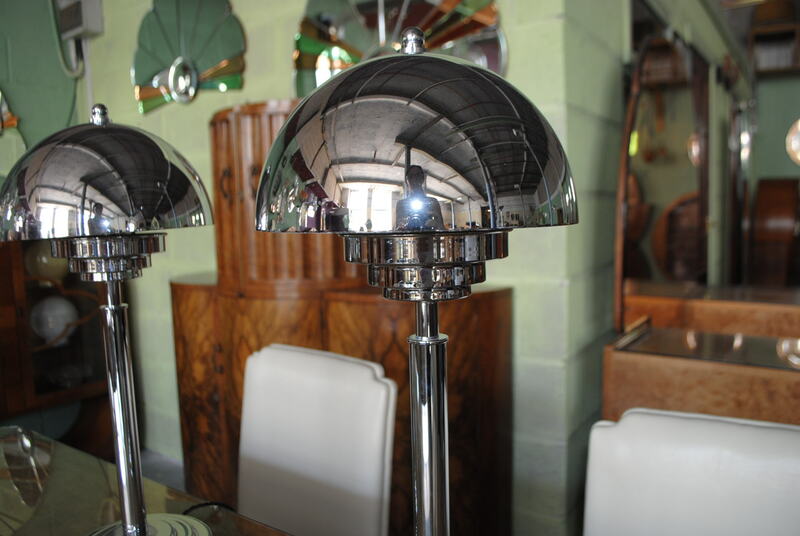 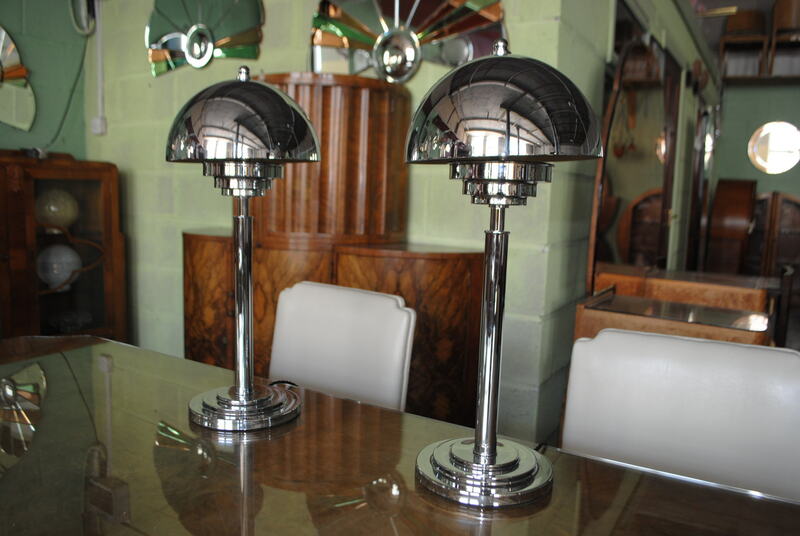 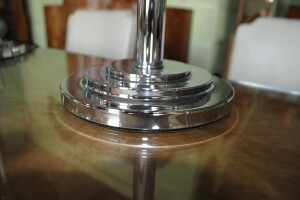 Stunning Dome shaped art deco chrome lamp(s). Complete with black period cable, inline on and off switch. Quality art deco style and glamour at its best. 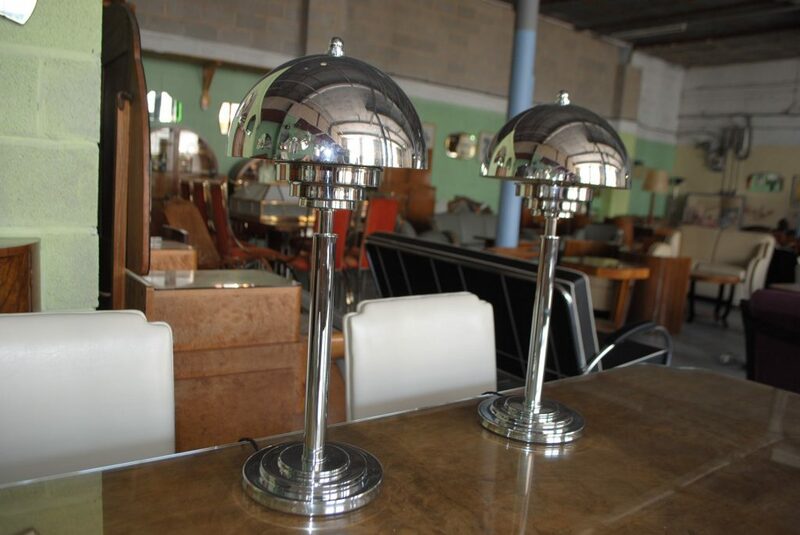 These lamps are individually hand made to order here in England . 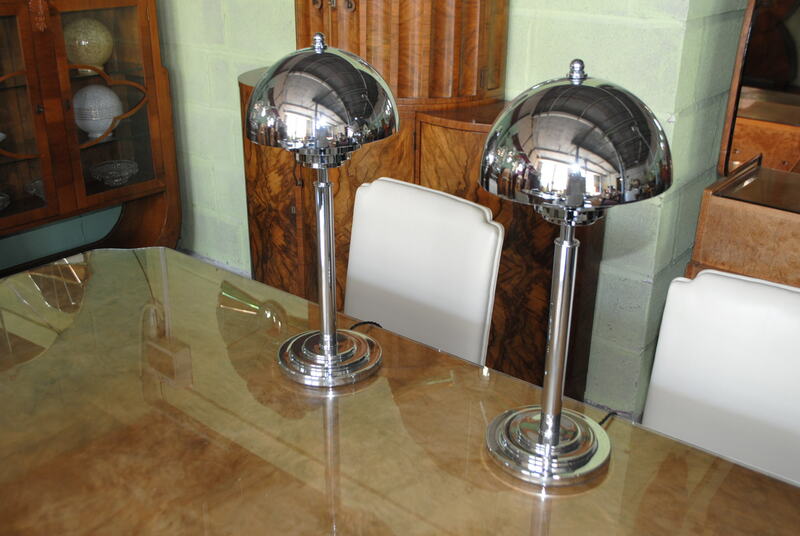 We had a pair last year so waited a long time to get another pair as many customers have requested a matching pair which is very rare to find. 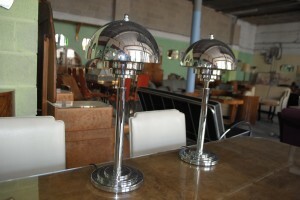 Very heavy quality lamps.